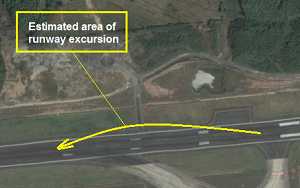 On landing the aircraft was badly damaged in a runway excursion leaving all on board unhurt. 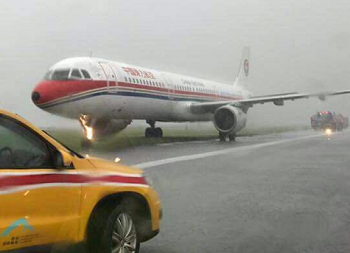 The Airbus A321 exited the right side of the runway while landing amidst heavy downpour. 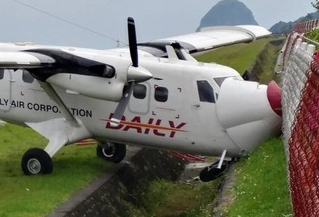 On landing the aircraft to the side of the runway where it collided with a wall and was substantially damaged. At least three passengers were taken to hospital. 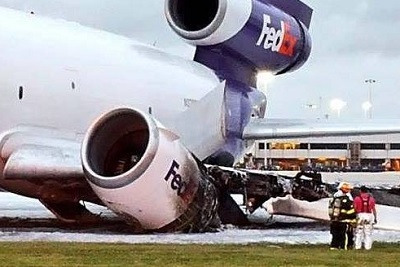 On landing at Ft. Lauderdale the cargo aircraft veered to the left and ended off the runway on fire. Both crewmembers escaped. 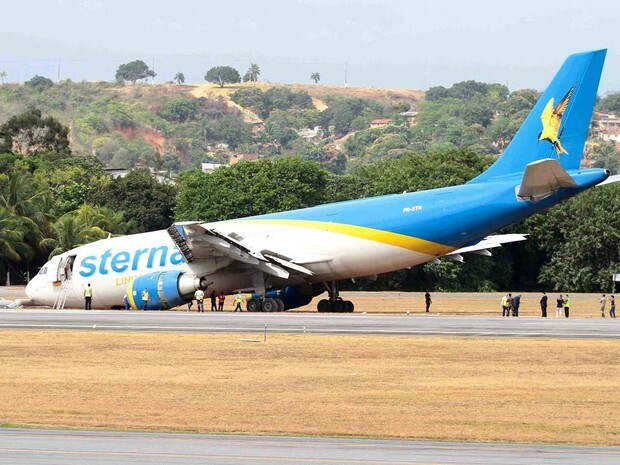 On landing the nosegear collapsed resulting in a runway excursion. All three crewmembers remained unhurt. During landing at Phuket in bad weather, the Airbus A350 suffered a temporary runway excursion causing some gear damage. 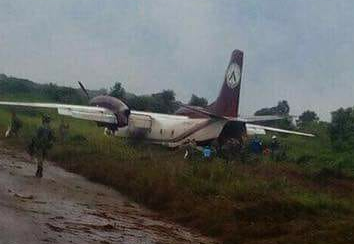 All on board were able to deplane unharmed. 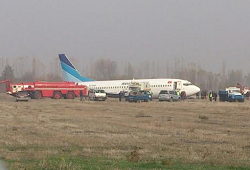 On landing in reduced visibility conditions, the 737 ran off the runway where its undercarriage collapsed. At least six persons were taken to hospital . 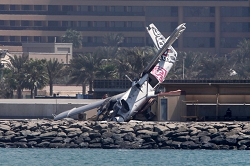 The aircraft suffered substantial damage in a runway excurison at Dubai Skydive Airfield.